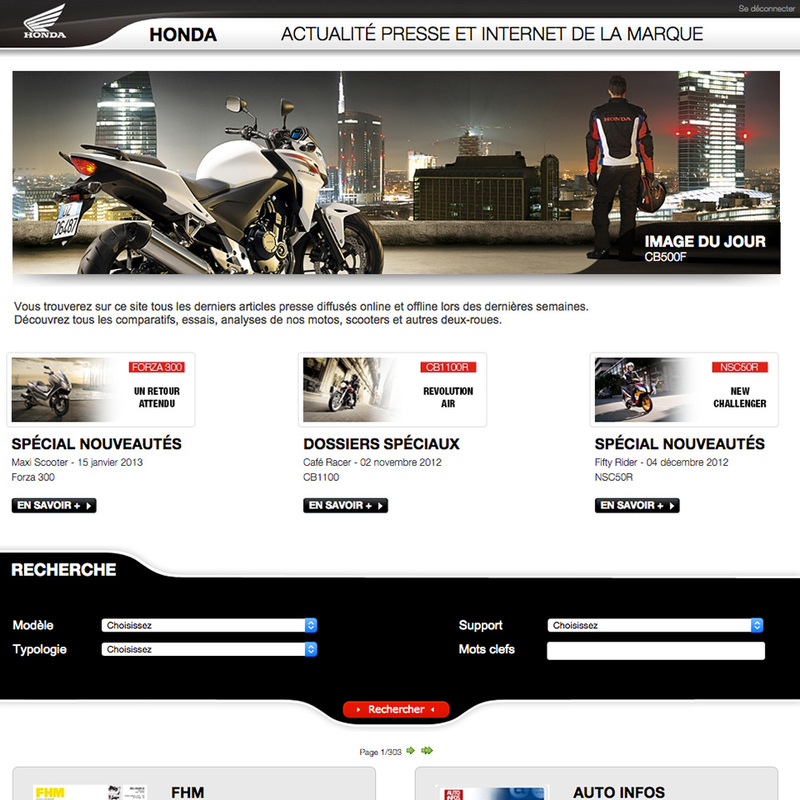 Description Front end and back end development of the press website Honda Moto. The creation of this website was fully based on my CMS and allows to write articles grouped by categories and media types, enlightened by images and PDFs. My mission was to develop the whole custom made administration panel in order to add datas and to build the front-end. Finally, a specific login home page was required to permit only the journalist to access those informations.